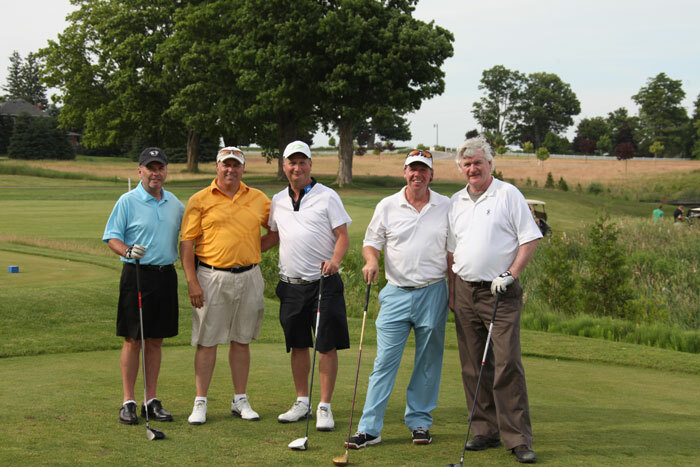 McDermott House Canada and The Mark Preece Family House were the big winners in the Ippolito Foundation 2012 Golf Tournament June 16th. Having fun at the 2012 Ippolito Foundation Golf Tournament at Copetown Woods Golf Club are, from left, Rogers Sportnet’s Scott Morrison, Ippolito Foundation director, Joel Ippolito, the event’s platinum sponsor Phil Caplan of PC Packaging and Design, Graeme Jewett of Marsan Foods and Chair of McDermott House Canada, and singer John McDermott, Founder and President of McDermott House Canada. ← Previous Post: 20th Anniversary Tour Contest Winners had a GREAT Trip!